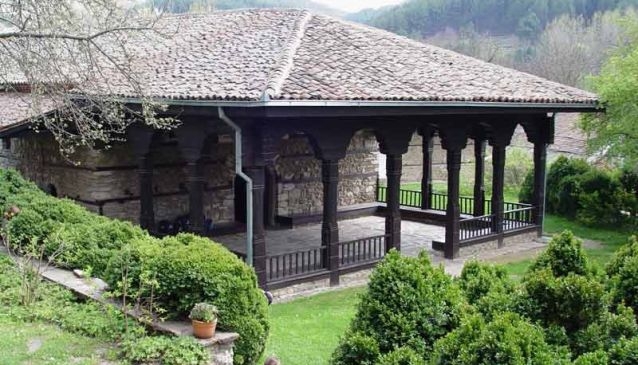 Monastery of St. Achangel Michael is an iconic monastery that is located in the heart of Berovo. This all female monastery had a difficult road to existence. Although in the 1840's Berovo was only a small village it had only one, almost in ruins church. The locals wanted approached the local pasha with the request to build a church and wanting to avoid a rebellion the pasha approved the request but with near impossible terms. The locals were allowed to build a church but only if they adhere to the following rules, the church was to be built under the ground level of the nearby road so it wasn't to be seen by people passing by, it was to be built in only 40 days and requested that the daughter of the local pastor Peco join his harem. After 40 days with overnight work and utter devotion the church was completed but the workers failed to make it below the level of the nearby road. The angry pasha ordered the three clergymen to be killed and the daughter of the pastor ran away to Bulgaria. The oldest icon in the church dates from 1818 and is dedicated to the holy prophet Noah.